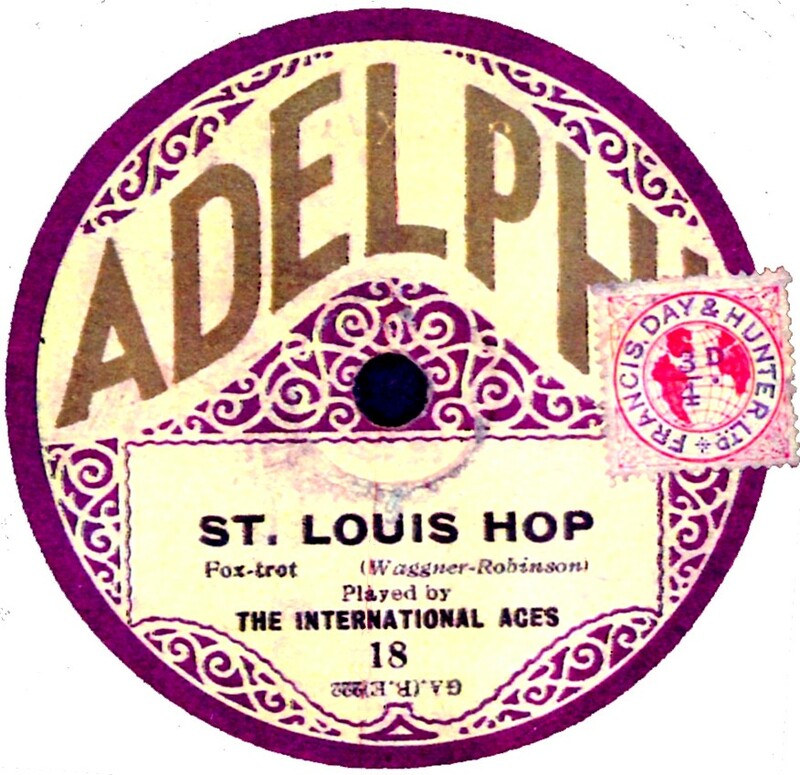 This extremely rare British label is also one I know little about, other than it is from the Vocalion stable like Beltona, Guardsman, etc. It may have been produced for export only, judging by the rarity. 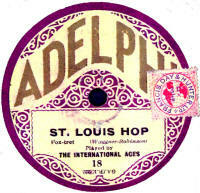 Label scan kindly supplied by Richard Johnson, from an original record belonging to Steve Paget. This is a first attempt at a listing. Please e-mail me if you can help me fill in the gaps in any of these series. My thanks to the late Arthur Badrock in providing most of the information for this page. 10 C-7296 (G-1525) The Hylton Medley The New Manhattans (= Jeffries' Rialto Orch.) Aco G-15815, Sept 1925. 11 1348 I Ain't Got Nobody The International Aces (= The Tennessee Tooters) US Voc 15135, Sept 15, 1925. 1350 Everybody Stomp The International Aces (= The Tennessee Tooters) US Voc 15135, Sept 15, 1925.